Is divorce ever allowable according to the Scriptures? When the Pharisees asked Jesus if it was lawful for a man to divorce his wife, He answered with great strength. But when Jesus seemed so adamant against divorce, the Pharisees pressed him, as people are apt to do. God is concerned about the welfare of children…Recently we heard a radio talk show psychologist spend a lengthy period of time interviewing only adults in their thirties and beyond whose parents had divorced many years before, when they were children. All of these adults interviewed had either never married or they had married and divorced several times, and the same reason came through repeatedly like a broken record: a whole generation later, these people could not successfully relate to adults in a close, trusting situation because of an unshakable fear that they might be abandoned. This is not to discourage you if you’re the child of divorced parents; the power of the Holy Spirit can make glorious exceptions to every human tendency! 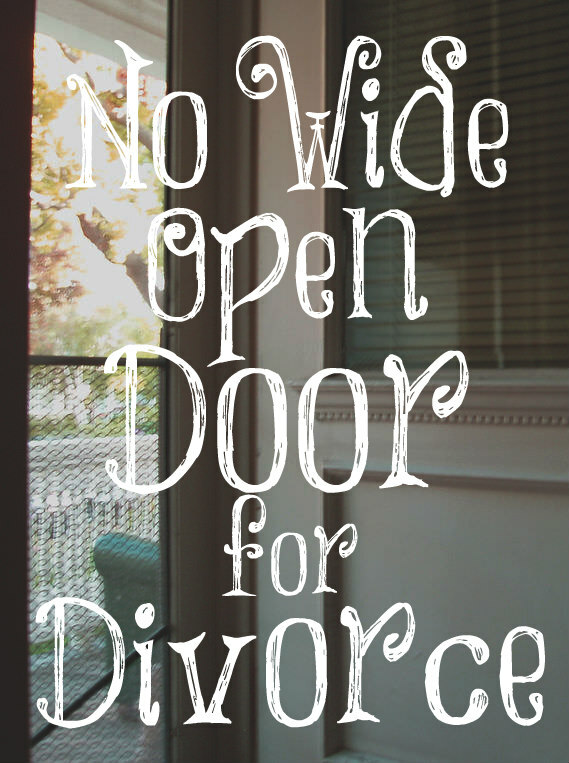 This is a warning to couples considering divorce. “What if the relationship gets actually violent, or if the marriage is just too miserable to stay intact?” Do we qualify to answer that – we who have never suffered in this way? In counseling others we have hurt when they hurt, but it’s not the same. We don’t want to sound flippant or give easy one-two-three answers to any who are going through very deep marital waters. There are three needs. Repentance is always in order, and godly counseling from a qualified person who takes the Bible seriously, and loving, praying friends. Beyond those, consider this suggestion: When a spouse or a child is in actual danger, perhaps the only thing to do is to separate, to stay out of the physical presence of the offender. Separation is not divorce. There are many marriages today of great triumph, in which one partner has remained patient and faithful and forgiving in spite of every legitimate reason for divorce, until the erring partner repents. If Elizabeth’s mother hadn’t had staying power or that marriage, how would Elizabeth have turned out? Do you think that a generation later a wonderful book would ever have been written to the blessing of many? Let us tell you about two real couples (their names are, of course, changed) among our friends. 1. Susie has been married to Kevin for fifteen years. She and Kevin are both attractive, prominent Christians, and they have five beauiful children. Many younger believers have looked to them as models, and they are pillars in their church. Recently, Susie was shocked to discover that Kevin had been playing around with another woman. Susie is divorcing him. 2. Jane became a believer early in her marriage, and she faithfully loved and cared for her husband Carey through insult after insult as he flirted openly before her and had affair after affair. This behavior went on for thirty years! But Jan had staying power: Her love simply outlasted Carey’s rebellion. And when at last he was broken and repentant and accepted Christ into his heart, he couldn’t appreciate and love her enough. 1. Susie and Kevin will have bitter memories locked inside their hearts, and damaged children, and friends who never understood and so backed away. There could be awkward children’s weddings…They themselves may also have new marriages and the confusion of relationships between ex-spouses and current ones, “his” children and “hers,” and too many grandparents, uncles, and aunts, mostly also hurting and confused. They’ll have rethought whether they could remain in their church, and probably one will have left, feeling abandoned and resentful. Both will feel uncertain about their “ministries” (they’ve been Bible teachers) for the rest of their lives, in the church’s confusion over whether they still qualify for leadership and service. 2. Jane and Carey will be in their “golden years,” considered by their church as models – a lovely older couple who had earlier struggles but finally “made it.” And Carey, in great gratitude, will probably treat Jane as he does today – like the queen that she truly is. Decide right now that your love will not be conditional; as often as the crises come, you will forgive and forgive and forgive. And do you know what? Chances are, you will also be forgiven. Did Suzie know that Kevin was that type of man from the beginning? I don’t know any personally, but I’ve heard stories from peers of their parents…where the dad always was cheating…from the first date through the engagement…and the mom chose to stay and continue dating him. It’s like Eve and Ewan Mcgregor…he’s been cheating on her from Before Day 1. I’m very curious on the statistics of how many men actually Cheat in the ‘wake up one morning unhappy and cheat’ versus how many of these men were cheating from Day 1 and the women still decided the men were worthy of being wed.
No one can know for sure, Kathy, because sin is exceedingly deceitful and a seemingly godly man can be trapped in sin if he allows a temptation to turn into sin. I think a lot of women would be shocked by your advice. In fantasy Hollywood-land of movies we watch on Netflix, your advice doesn’t make sense because all of these behaviors Come Out of Nowhere. But in real life…from my single mom friends and just people I’ve met….The men never changed. The man from The First Date was acting in a way that gave off a lot of Red Flags. I have a single mom gf whose ex threatened (did not do it…he said he wanted to because she was making him so mad) to hit her while she was pregnant…But he was always like that!!! She didn’t have a problem with his anger when they were just dating? Why should she get mad at him now? I remember with two gfs back in college I said ‘He’s going to hit you’ and ‘This one is very strange’ and in both cases I was right. The men never changed…the women just suddenly decided that on Monday the behavior was Ok, but then on Tuesday the behavior was wrong. So I do think in Reality…if you truly loved him from the beginning…and you went as far as starting a family with him…A woman needs to be honest about her role in the relationship and her role in promoting the bad behavior by granting him sexual access. People really don’t wake up one morning and Become Violent or Become a Cheater…it was usually there all along. The harsh truth is…from an outsider looking ‘in’…the single mom actually fit personality and fault-wise better with the father of her child (she is not without fault)…then with her new husband. Honesty would save a lot of people from entering marriages with the wrong person. And once kids are involved you should try to make it work. It’s not longer about you at that point. 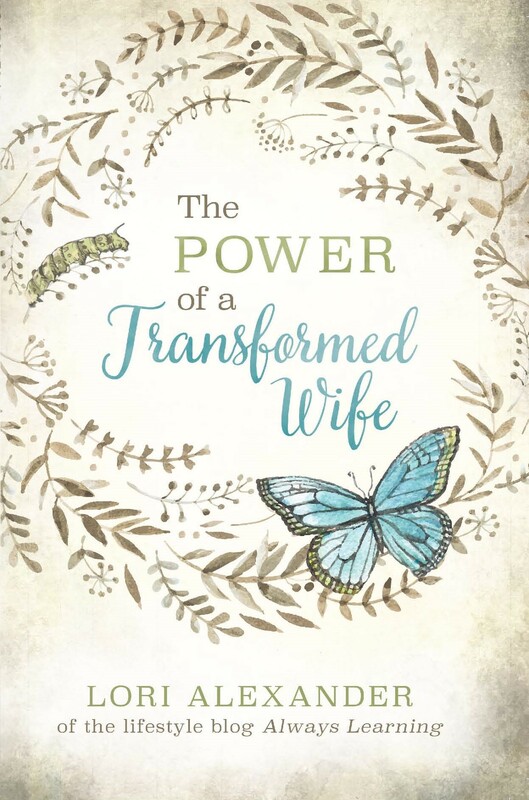 I agree that women need to be very careful and wise about who they marry since this will be the single largest decision they will make in their life after believing in Jesus Christ. I asked the women in the chat room who were or are married to men who cheated if they saw red flags earlier in their marriage and some did and some were taken completely by surprise so I don’t think there’s an easy answer for this one but I do know that God’s prescription for women who have cheating husbands is found in 1 Peter 3:1-6. Thankfully, He didn’t leave them without a course of action.